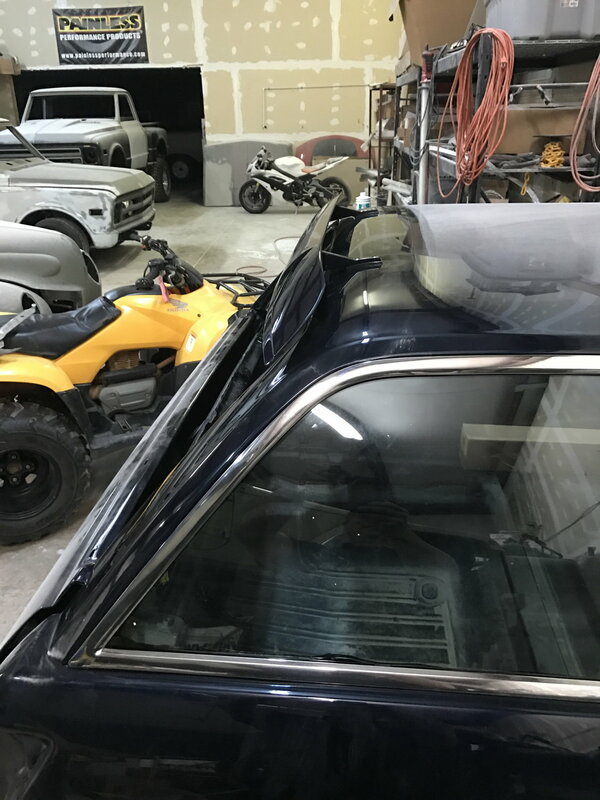 This is a nice original Vista Cruiser wagon metal rear air deflector which fits 1968 to 1972, no damage/dents/bends, sand and paint to match your car, price is $115 plus shipping. What is the lower price and is it still available? Post #1 has the updated current price, $120. Price drop, see post #1 for current price. How does the deflector attach to the roof? I see the mounting brackets in the pic, but do screws drill into the roof, or does it somehow get pinched in between the roof rack and the roof? Cool, thanks for the pic!